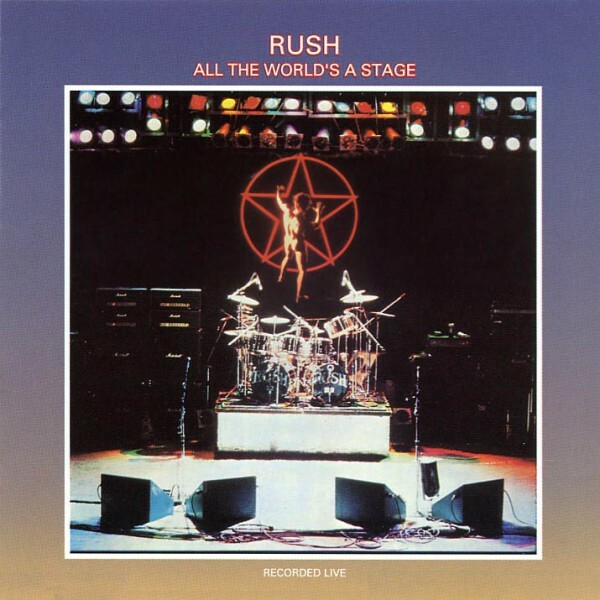 As we anticipate the release of Rush's Time Machine 2011: Live In Cleveland, I have given the site a facelift to celebrate the upcoming 35th Anniversary of Rush's first live album, All The World's A Stage, released on September 29th, 1976. UPDATE: Last week Neil Peart made available a clip of this jam session on his website; dubbed "Count Drumula", the musicians, Danny Carey and Les Claypool, Stewart Copeland and Neil Peart are billing themselves as CCCP. No news yet if this was a one time occurance or if more will follow...stay tuned. "...recently DANNY got together for a drumming/recording session with NEIL PEART (RUSH) and STEWART COPELAND (THE POLICE). LES CLAYPOOL was also involved, but I'm not sure as to what capacity. Whether or not these guys will get together again, or anything will come from the initial 'session', I really don't know." - Toolband.com, April 29, 2011 - Thanks to Ed at Rushisaband for the headsup! Alex Lifeson is one of the artists featured in The Modern Guitar Rigs: The Tone Fanatic's Guide to Integrating Amps and Effects released this month by Hal Leonard Publishing. • Virtual guitar rigs and modeled guitar amps in the studio and on stage Each section and chapter addresses a different set of tools while delivering rich detail, supported by scores of illustrations, and describing a range of popular products for the contemporary guitarist. Kahn also looks at the guitar rigs of pro players and analyzes how their rigs are wired, configured, and controlled. "We are currently in the recording studio, recording our brand new album, WWII: Metal Of Honor. As you might gather from the title, all the brand new songs deal with battles / events surrounding WWII. "In addition to the eight brand new original tunes on the record, we will also be covering the RUSH song, 'Red Sector A'. As of this message, we have the drums recorded, and we'll be going in periodically to add the bass, guitars, vocals. "The record should be released this fall. High Roller Records will release a vinyl version. We are in negotiations with some labels for the CD version. "- Bassist Phil Grasso, Bravewords.com, July 20, 2011 Thanks to Ed at RushIsABand for the headsup! Readers Poll: The Best Prog Rock Bands of All Time: "You chose Tool, Genesis, King Crimson...and a certain trio from Canada"
1. Rush: "Well, this poll wasn't even close. Rush won in a landslide – but this couldn't come as any surprise. The Canadian trio have perhaps the most intense and enthusiastic fan community in all of rock. The band deserves such commitment. While most of their peers have fallen apart due to greed or laziness, Rush has maintained the same line-up since 1975 and their concerts are as spellbinding as they ever were. It's also beyond dispute that Neil Peart is the greatest drummer on the planet. They just wrapped up an epic tour where they played Moving Pictures straight through, and are working on a new album. Here's hoping that they bust out 2112 the next time out. It's the only way to top that last tour." - Rollingstone.com, July 20, 2011 Thanks to RushFanForever for the headsup! "Last week, we asked Rolling Stone readers to name their favorite dancing musicians of all time – and we compiled the votes into a top 10 list. Our question for you this week is: What is the best prog rock band of all time? You can vote here, on facebook.com/rollingstone or on Twitter with the #weekendrock hashtag." - Rollingstone.com, July 15, 2011 Thanks to Rushfanforever for the headsup! As previously announced, Audio Fidelity's 24 karat gold remastered reissue of Roll The Bones hits store shelves July 19th. This is sure to become a collectors item, so it you haven't done so already, click here to order. The "enhanced" version of Rush ICON is also now available. Hitting shelves July 19th, ICON is now a 2CD set, the first disc is the same as last year's ICON release, and a second disk has been added to include live versions of various songs culled from All The World's A Stage, Exit Stage Left, Grace Under Pressure Live and A Show of Hands. Buy now! "Added to the forty-four shows and more than 23,000 miles of motorcycling from summer 2010, my bandmates and I had now performed a total of eighty-one shows, before almost one million people. With riding partners Michael and Brutus, I had ridden 36,729 motorcycle miles, covering North America, South America, and Europe." "...these days an exceptional night is often apparent in our improvised sections-Geddy on his bass in the outro of 'Leave That Thing Alone,' Alex in the frenetic solo section of 'Working Man,' and for me, the first half of my solo. When the three of us are at the top of our individual games, we are able to elevate the whole to a sublime synergy." 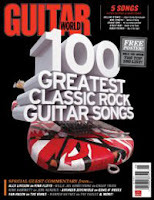 "Limelight" makes Guitar World's "100 Greatest Classic Rock Guitar Songs"
Background: "'Limelight' is about being under the microscopic scrutiny of the public, and the need for privacy-trying to separate the two and not always being successful at it," guitarist Alex Lifeson says. "Because we've never been a high-profile band, we've managed to retain a lot of our privacy. But we've had to work at it." For the recording, Lifeson used a modified Strat with a heavier and denser body. "We set up a couple of amps outside of the studio as well as inside," he recalls, "so we got a nice long repeat from the sound echoing in the surrounding mountains. The approach on that solo was tro try to make it as fluid as possible. There was a lot of bending with lots of long delay repeats and reverb, so notes falling off would overlap with notes coming up. I spent a fair amount of time on that to get the character, but once we locked in on the sound, it came easily." Thanks to RushFanForever for the headsup! "Canada brought more to the Shuttle Program than the Canadarm, and it came in the form of a Rush song. The iconic Canuck prog-rockers' 1982 single 'Countdown' was wholly inspired by Columbia's first trip in 1981, the first of the Shuttle Program. The song even samples audio from this launch and was played to wake up the crew on Columbia's 27th flight in 2002, on the day the shuttle landed back on Earth for the last time. So it's a pretty perfect pick to complete our wake-up song countdown as NASA's space shuttle program enters T-Minus Zero." - Spinner.ca, June 8, 2011 Thanks to Rushfanforever for the headsup! 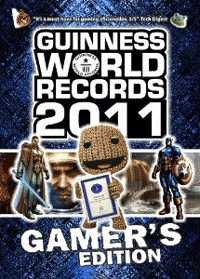 The prize for the longest commercially released song to be featured in a rhythm game goes to veteran Canadian rockers Rush, whose 20-min 23-sec 1976 track "2112" features as the final number in Guitar Hero: Warriors of Rock (Activision, 2010). - Thanks To RushIsABand for the headsup! "This Canadian rock and roll trio is known for its complex compositions, its lyrical mastership and being on the cover of issue 43 of Chill Magazine." - Chill, July/August 2011 Thanks to Frank Panacci for the headsup!